Architecture, interior design, construction management, and facilities management students & faculty gathered at a public lecture October 25th to hear Scott Compton present “Building Life Cycle & Maintenance: Meeting the Challenges”. The discussion focused on schools and educational facilities – highlighting the importance of proper planning during construction and the consideration of sustainability and durability of life cycle materials to protect investment and long-term operation. 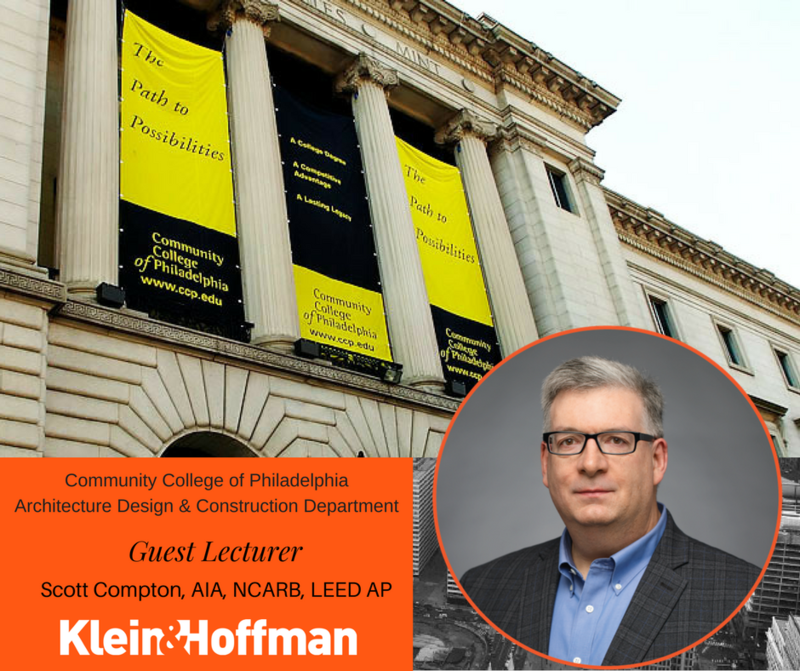 The lecture was held in the Architecture Design and Construction Department at the Community College of Philadelphia.